Liver cancer. 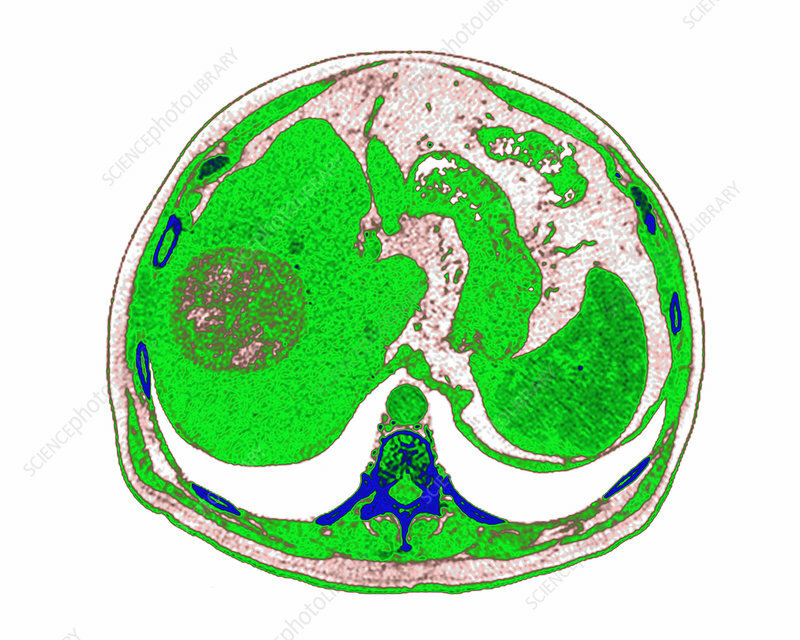 Coloured computed tomography (CT) scan of an axial section through the abdomen of a patient, showing a hepatocellular carcinoma (cancer, round, left) in the liver. Hepatocellular carcinoma is the most common form of liver cancer, with most cases being secondary to either a viral hepatitis infection (hepatitis B or C) or cirrhosis.